During 2012, we made progress with our long-term plans to explore for energy resources off the coast of Alaska, although we were not able to complete as much drilling as we had expected. For an energy company the Arctic poses many challenges. It’s an expensive and difficult place to operate. Many people feel that it should be left alone. Why does Shell want to explore off the coast of Alaska? The world’s population is increasing, living standards are rising and economies need energy to grow. Yet in many regions, easy-to-access energy resources are scarce. To meet growing demand we need a mix of strategies, and we must develop all forms of energy, traditional and renewable. To make up for the decline in conventional oil and gas resources, we have to develop resources in new, more challenging locations. The nations of the Arctic have taken the decision to open up the region for offshore development and trust companies such as Shell to do it responsibly. In late 2012, the Kulluk drilling ship ran aground while it was under tow. How could this happen? We undertake significant planning and preparation in an effort to ensure these types of incidents do not occur. So I’m very sorry and disappointed that this happened, and we take it very seriously. Certainly we will identify and understand the “how” and “why” of all aspects of the incident, and use the lessons learned to improve our operations in the future. We have fully participated in and supported the US Coast Guard investigation into the causes of the incident. This was a marine transit issue that occurred after completion of our exploration programme and well outside our theatre of operations. It did not involve drilling operations. We worked with the Coast Guard to bring the incident to a safe conclusion. There were no significant injuries and there was no environmental damage. Even before the Kulluk incident, Shell’s Alaska exploration programme had suffered several operational setbacks in 2012. What did Shell learn from these events? Our goal is always to have flawless operations and some of the events we experienced in 2012 fell far short of our expectations. That is not acceptable. However, we showed again that we are well prepared to do this kind of work. One reason for not getting as much done as we had hoped was our determination to get things right and to work so closely with regulators at every stage. The people and most of the equipment we put in place, in fact, performed very well. As with any major project, you identify some efficiencies and better ways of doing things. All aspects of our operations are subjected to close internal and external scrutiny, which leads to learning and improvement. We are always working to improve our operational performance. Do you view the attention of Greenpeace and other environmental organisations merely as a distraction, or should Shell be considering some of their arguments? While at times difficult, the intense scrutiny from every quarter is to be expected. We listen carefully to comments from all angles, including environmental NGOs. Close scrutiny of our industry helps raise broader public awareness of the energy and environmental dilemmas the world faces. It can help shape government policies for the better, and it can help raise operational standards across the board. Shell says it has unprecedented plans in place to deal with an oil spill, including a large offshore fleet to respond in case of an incident. But are your plans robust enough to reassure the public? 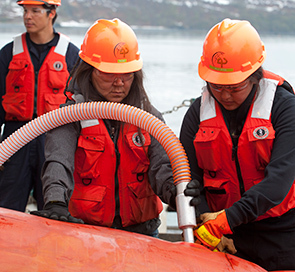 Shell’s oil-spill response plans are very robust and have been approved by the US Federal Government Agencies, with input from Alaska state agencies. Shell has indeed invested in an unprecedented oil spill response plan in Alaska. No other company has ever deployed the immediate, onsite response resources that we have. Shell has incorporated lessons from the BP Deepwater Horizon tragedy into its response plans. It is very important, however, for people to realise that drilling wells in the shallow waters off Alaska, where reservoirs are at relatively low pressure, is very different from working in the deep-water Gulf of Mexico. Some people think the risks of drilling for oil in the Arctic are too high. Can you credibly argue that the industry can manage the risks of operating in Arctic waters? Yes we can. We must not forget that the industry has been conducting safe operations in the Arctic for decades – proof that the industry can manage the risks. Effective risk management is about improving safety by analysing what could go wrong, minimising the possibility of it occurring, and reducing the potential consequences. At Shell we have embedded this approach within our management system, and work continuously to enhance safety. Safe well operations demand highly competent people, strict safety procedures, and rigorous design, construction and maintenance standards for all equipment. Our number one priority is safety. Our entire approach to offshore drilling is based on preventing any incident that could lead to marine pollution and this means operating at the highest standards, with an intense focus and commitment to safety and the environment. 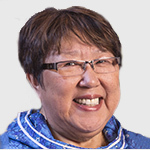 What has Shell done to engage effectively with local communities in Alaska? Do they support your plans for exploration and potential development? We have worked hard to earn the trust and respect of the people who live in the areas where we plan to operate. It’s critical to work effectively with communities, governments, regulators, industry partners and non-governmental organisations to establish high standards and address any concerns about our operations. It’s vital to establish shared views and standard practices both in the way that we approach environmental and social challenges, and in the way we use science as a basis for decision-making. We held more than 450 meetings with people in the communities of Alaska’s North Slope and others who had an interest in our plans. This early and effective engagement, ensuring greater public involvement, has been a hallmark of our approach to operations in Alaska. Of course, not everyone supports the project, but we have come a long way in establishing trust and understanding. We have demonstrated significant involvement of local communities in our decision-making. We have also developed capacity and skills that can be readily transferable. Providing jobs and skills for workforce development has been something that the people of the region have supported. Do you feel that Shell can provide sufficient benefits to local people from the development of energy resources off Alaska? For example, how do you plan to help local residents acquire the skills necessary for the jobs you will offer? Shell is determined to make sure that we share the benefits of our activities in the Arctic waters off Alaska with the people who live near to them in the north of the state. We direct a large proportion of our contracting work to local native firms. In turn, the benefits of these contracts feed through to local residents in the form of shareholder dividends from local co-operatives. Shell follows a workforce development strategy that includes support for internships, vocational education, and funding the regional community college in Barrow. Shell’s presence in small coastal communities could overload the limited infrastructure that currently exists for housing, hospitals, water and transport. What are Shell’s plans to make sure that local communities are not overwhelmed? We are very aware of this potential impact and have taken steps to reduce it. In 2012, we provided a 75-bed accommodation block for our employees in Barrow on Alaska’s North Slope to ensure that we did not put a strain on the limited local housing market. We also brought our own medical personnel. Our presence can help local services. For example, our helicopters were available to help with local search and rescue efforts. One of Shell’s core values is respect for people. We want our presence in a community to result in tangible benefits for local residents. Creating jobs and contracts that can build local economies is one way we do this. Another is to invest in areas such as education, health facilities and cultural activities. We work very closely with the communities themselves to identify their needs and preferences. What can Shell do to reassure people about development in the Arctic? The continuous focus on safety and incident prevention that Shell demonstrates is essential. It is the responsibility of industry, the governments and people of the region, and other key stakeholders to make sure development is carried out in a sustainable and transparent way. Industry and governments working together need to set and meet rigorous safety and environmental operating standards to ensure responsible development. Our Alaska exploration plans are a multi-year programme. In February 2013, we decided not to pursue drilling operations off Alaska in the summer of 2013. This decision will give us time to ensure the readiness of all our equipment and people. We are reviewing our future plans, and we continue to work closely with the US Coast Guard and US Department of the Interior. We have conducted an internal review of the events of 2012, as part of our normal business preparations, to learn from our experiences and improve our plans. 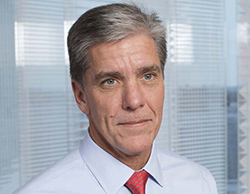 Shell, working closely with US regulators, will continue to build an Alaska exploration programme that instils confidence in all concerned, and that meets the high standards the company applies to its operations around the world.